Go If: You like fairy tales and fantasy RPGs filled with elfin creatures, cheeky trolls, a feisty heroine and a hero who triumphs against the odds. 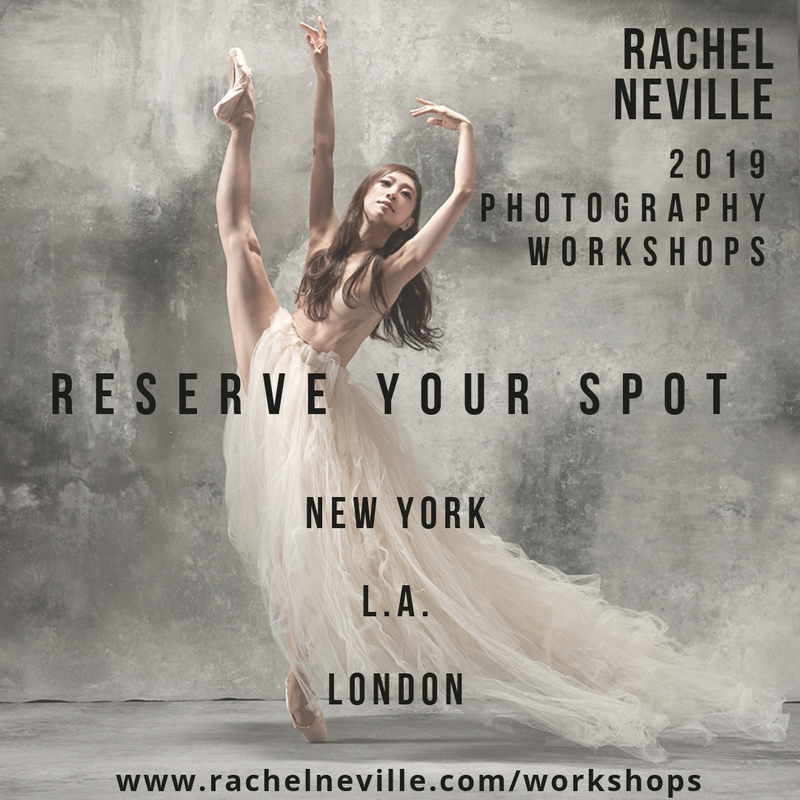 You are well-versed in Giselle, La Sylphide, Ondine and would like to try a different supernatural ballet. Skip If: You like your ballets with less plot development, more dancing and without too much of balletic mime. A Folk Tale is one of August Bournonville‘s most important ballets; one which he called “the most complete and best of all my choreographic works”. 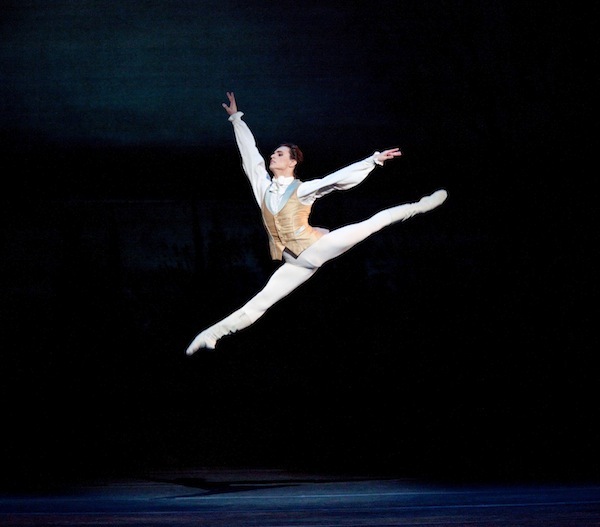 Among Bournonville’s sources of inspiration are Danish national songs like Svend Grundtvig‘s folk ballads and Danish folklore stories (Danske Folkensagn), including Hans Christian Andersen‘s The Elf-Hill (Elverhøj) and, more generally, tales by the Brothers Grimm. The libretto is filled with folkloric elements: peasants, troll villains who are more cheeky than menacing and who symbolise a chaotic society in need of true values. As with other ballets of the Romantic period, A Folk Tale deals with the contrast between our world and the supernatural realm. Elfin creatures appear in the middle of the night to entrap and torment hero Junker Ove, so that he is danced into a spell by these “non-lethal wilis”. Yet unlike Giselle and La Sylphide, the ballet ends happily with the marriage between the “elf maiden who turns out to be human” Hilda and the virtuous Junker Ove. There are vague undertones of A Midsummer Night’s Dream in the swapped-at-birth imbroglio between Hilda and Miss Birthe (a supposed human who turns out to be a troll) although Shakespeare’s tale is by no means a direct influence. As with most Bournonville “happily ever after” ballets, the first two acts focus on the plot via mime and character development whereas the final “divertissement” act seems to pack the bulk of the dancing. Before the current production by Nikolaj Hübbe the ballet used to be set in the Renaissance and was laden with such Christian themes and religious symbols as a “golden cup” and a “cross”. Hilda, snatched by the trolls as a baby, longs for what is good and virtuous and looks up to the human world, which is populated by villagers of Christian faith and aristocrats. Junker Ove, a symbol of Christian values, comes to her in a dream. A Folk Tale is filled with doppelgängers: the dependable Hilda and the changeable/capricious Birthe; the troll brothers Diderik (bad) and Viderik (good), the noble but ambitious Mr. Mogens and the idealist Junker Ove. 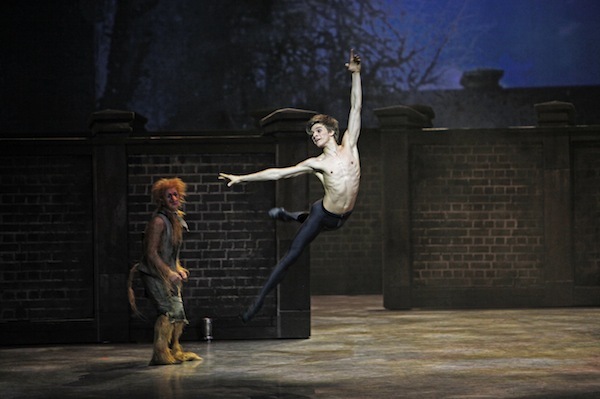 This Freudian dimension is emphasised in the latest version by Nikolaj Hübbe and Sorella Englund (see below), yet this probably escaped Bournonville at the time the ballet was first staged. Since its premiere in 1854, A Folk Tale has been a permanent fixture in the Royal Danish Ballet’s repertory, passed from generation to generation. The current production debuted in Copenhagen 11 March 2011. 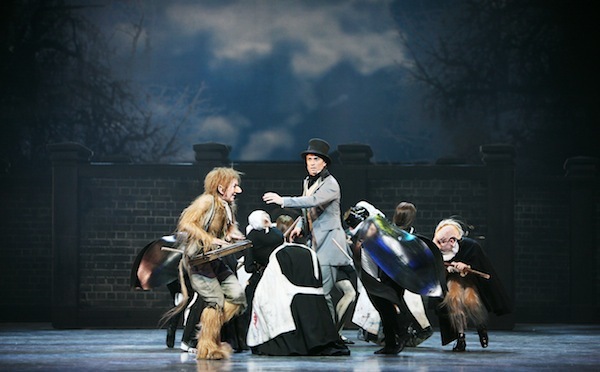 As with his recent version of Napoli, Hübbe and his team have sought to modernise A Folk Tale, making its themes more relevant to today’s audiences. As Eva Kistrup notes in the “Copenhagen Report” the action is moved to the late 19th century, in part to frame the conflicts between aristocrats and peasants, but to also tone down the religious excesses (e.g. relevance of the golden cup and cross). Thus Hilda yearns, not necessarily for human “virtue”, but most of all to be with the young man she met on the forest. Junker Ove is now introduced as an intellectual type, rather than the embodiment of Christian values. The new production also attempts to put the troll world in context: they are now a symbol of the darker side, the inner soul of the human characters. For instance, humans and troll counterparts mirror each other in the way they dress (Diderik and Mr Mogens wear top hats). The original ending where the trolls left Denmark for good is also modified to imply there are trolls still living among us. Given the ballet originally contained very little dancing – mainly the famous Pas de Sept during the Act III wedding celebrations – Hübbe has added new solos for Ove (Act I) and Birthe (Act III) as well as a romantic Pas de Deux for Hilda and Ove (Act III), but without tampering with the traditional Bournonville mime. For a more detailed, humorous take on the story refer to this blog post by RDB’s Carling Talcott. Miss Birthe, a temperamental, spoiled wealthy girl is enjoying an outing with her friends. She flirts with Mr. Mogens, despite the presence of her young fiancé and cousin, the handsome Junker Ove. The party soon returns home, but Junker Ove chooses to lag behind by the hill, alone with a book and his thoughts. Suddenly, the hill magically opens to reveal Hilda, an elf maiden and Muri, a troll sorcerer. Hilda hands Junker Ove a golden cup, urging him to drink from it. Ove refuses the drink which soon spills into the ground. Frustrated, as Ove refuses to return the cup, Hilda and Muri go back into the open hill and summon a group of elf maidens who whirl and dance Ove into a spell. Scene – The Troll brothers Diderik and Viderik are mulling over their feelings for the beautiful Hilda. Their sorcerer mother, Muri, has decided that the eldest Diderik should be the one to marry Hilda. She tells Viderik off for protesting against her decision and he runs away. Scene – Hilda is sleeping. She dreams of a group of trolls taking a human child from a cradle under a cross. They have replaced the baby with a young troll and taken with them a golden cup. Ove also appears in the dream. She wakes up pensive. Connecting all the dots, Hilda now suspects she is the human child. A great feast is being thrown to commemorate her betrothal to Diderik, but Hilda is distracted by these thoughts. She dances for the trolls and once they have all become drunk, Diderik’s younger brother Viderik helps her escape. Hilda observes the poor peasants drinking from a spring at the edge of the forest; she tries to cheer them up and dances for them and the harvesters who are now returning home. Mr. Mogens sees Hilda and is immediately attracted but she is thinking of Junker Ove who now reappears looking spellbound and lost, still holding the golden cup. Hilda leads him to the spring for a drink of water and Ove recovers his senses. They dance in joy of their reunion, while Viderik watches and pines for her. Mogens, unhappy with the reappearance of Ove (as he intends to marry Birthe to inherit her estate), organises a hunting party to chase “mad Junker Ove” and his “strange friends” Viderik and Hilda. As Ove tries to defend Hilda and Viderik from the hunting party he is overpowered. Hilda manages to escape. Miss Birthe is bullying her servants and in her rage, she faints. Hilda appears with the golden cup. This proves she is the true heir to the estate, having been snatched by the trolls as a baby. Birthe is expelled by estate dwellers and Hilda is recognised as the true heir. Birthe seeks Mr. Mogens’s assistance but she finds him and his group bewitched by Viderik. The troll looks at Birthe and recognises her as his lost sister, the true changeling elf. Muri arrives and persuades Birthe to join the group of trolls, offering Mr. Mogens riches and gold so that he can marry her daughter. It is Midsummer’s Eve and celebrations are under way for the wedding of Hilda and Junker Ove. A group of dancers entertain the dwellers (the famous festive Pas de Sept), and the ballet ends with Hilda and Ove waltzing into the summer light. Two of the most renowned Danish composers of their time, Niels W. Gade and Johan Peter Emilius Hartmann, were commissioned by Bournonville to write the music for A Folk Tale. Exponents of Romantic nationalism, the composers used in the score many references to Danish folklore. Taking turns with different sections, Gade composed folk melodies for the forest scenes (Acts I and III), as well as a minuet for the nobles and dances for the peasants and elf maidens. Strong references to Mendelssohn‘s A Midsummer Night’s Dream can be found throughout the score ( in fact most of Gade’s compositions were generally influenced by Mendelssohn). In contrast, Hartmann’s music for Act II (troll scenes) contains dark undertones and is more character driven. There is a bolero for Hilda and a galop for the trolls. 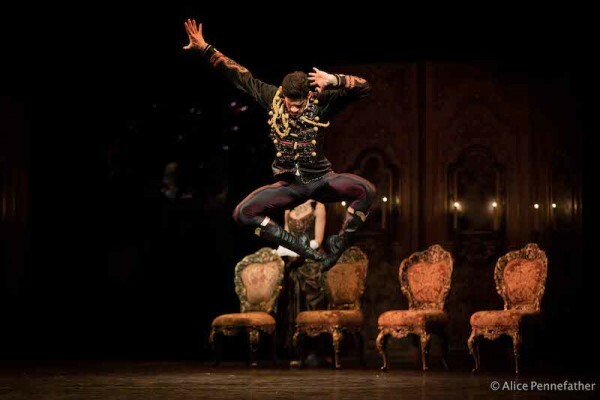 Act III of the ballet contains the most famous piece of music in any Bournonville piece: the Bridal Waltz. As the story goes, the Brudevalsen was initially discarded by Gade (who threw it into a waste paper basket) but was salvaged by Bournonville and has become a traditional piece at Danish weddings. Premiere: 20 March 1854, The Royal Danish Theatre, Copenhagen. First Cast: Susanne Grinder as Hilda, Marcin Kupinski as Junker Ove, Kizzy Matiakis as Birthe, Mads Blangstrup as Mr Mogens, Poul Erik Hesselkilde as Diderik and Lis Jeppesen as Viderik. Photos: August Bournonville’s A Folk Tale by David Amzallag at Blueballet, including historical production images, plus features on the troll costumes and Nikolaj Hübbe coaching. 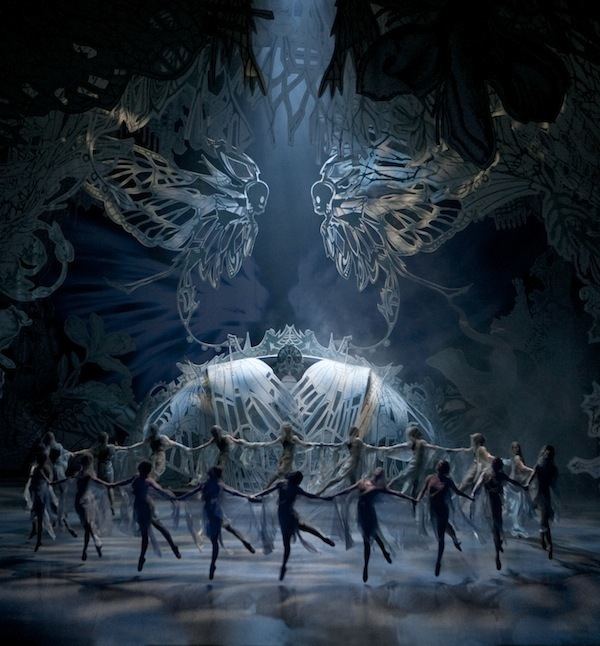 A Folk Tale continues at the Royal Danish Ballet until 8 April. For information and booking visit the RDB website. 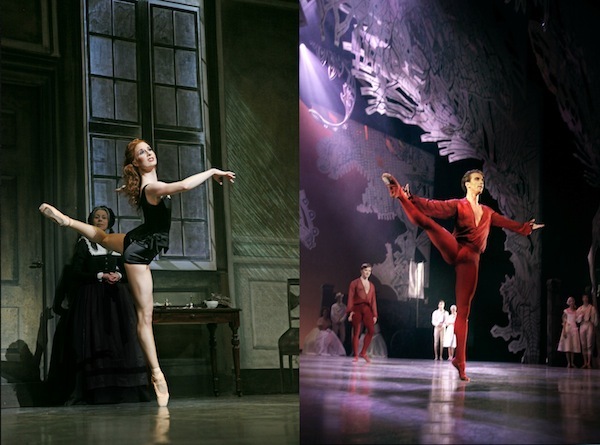 This ballet will also be performed as part of the Company’s tour to Washington DC, 7-9 June 2011. For details visit the RDB’s US Tour microsite. How wonderful that you got to see your granddaughter Hilary on tour in the US! 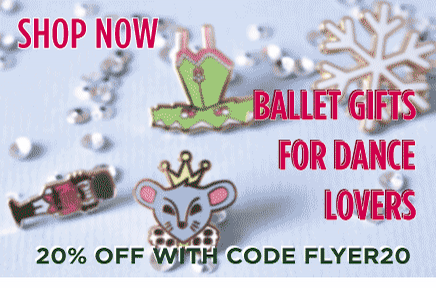 RDB is one of our favorite ballet companies, heaps of talent and a wonderful repertory. All the best, E.